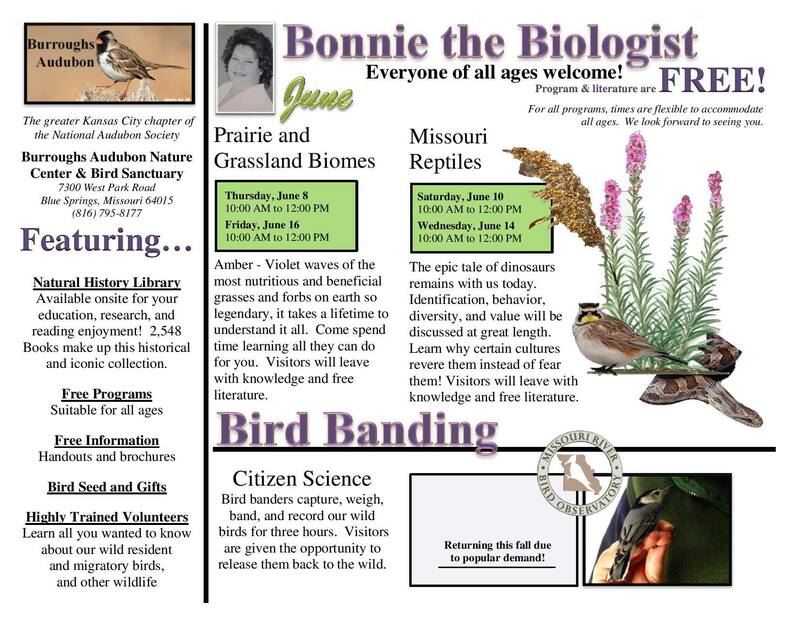 Bonnie the Biologist is one of the true gems of Burroughs Audubon’s Nature Center and Library. Her programs are fun and full of energy! 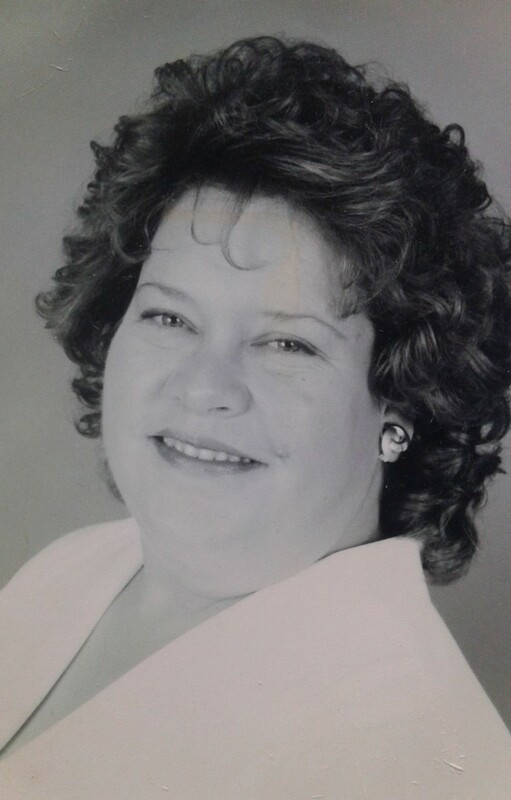 Everyone of all ages are welcome and free to come and go during the time allotted. 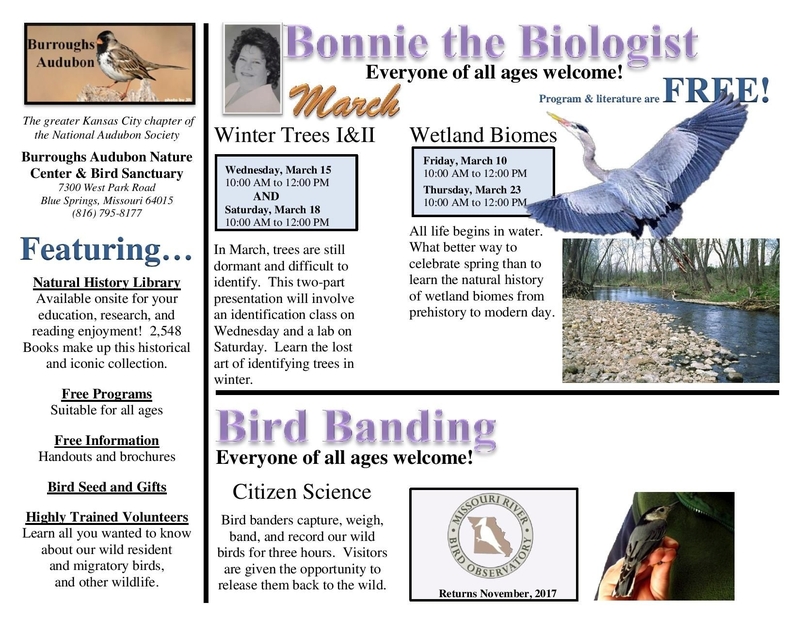 Programs are free and include free literature, and more! 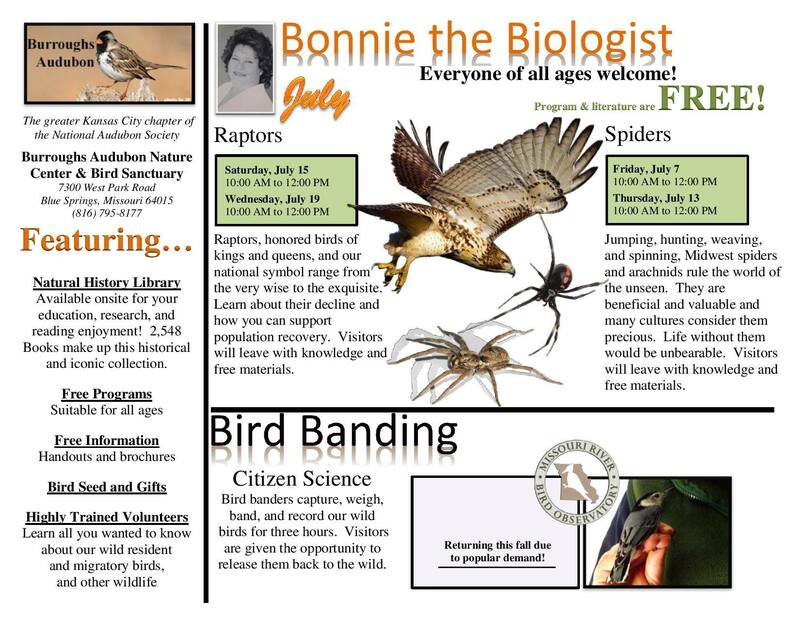 Programs take place at our Nature Center and Bird Sanctuary unless otherwise stated. Tuesday, April 16 @ 10:00 AM ~ Historical and Medicinal – Spring Wildflowers. 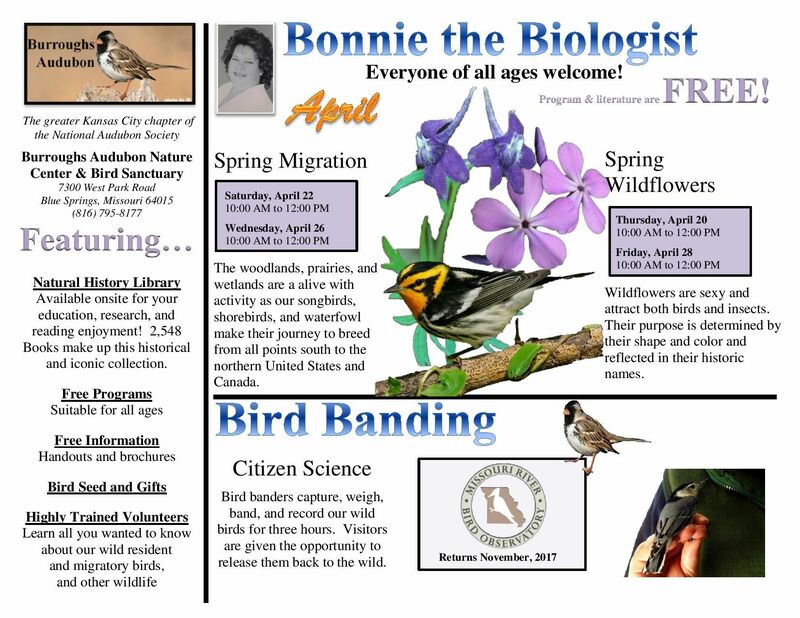 Tuesday, April 23 @ 10:00 AM ~ Historical and Medicinal – Spring Wildflowers. 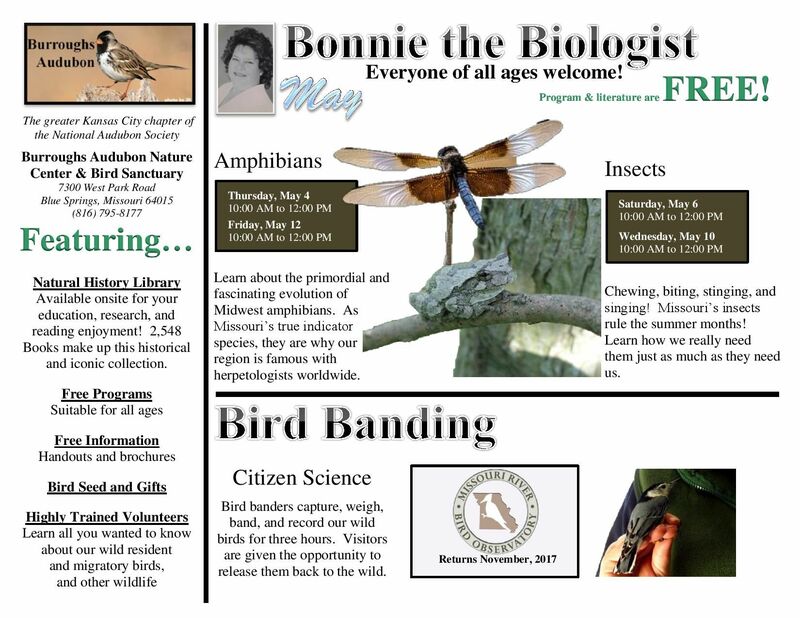 Tuesday, April 30 @ 10:00 AM ~ Missouri’s Amphibians. Tuesday, May 14 @ 10:00 AM ~ The Real Story of Fungi/Mushrooms. Thursday, May 16 @ 10:00 AM ~ Missouri’s Fishes. Tuesday, May 28 @ 10:00 AM ~ Missouri’s Fishes. Thursday, May 30 @ 10:00 AM ~ The Real Story of Fungi/Mushrooms.